I just love this cute sentiment from The Project Bin. 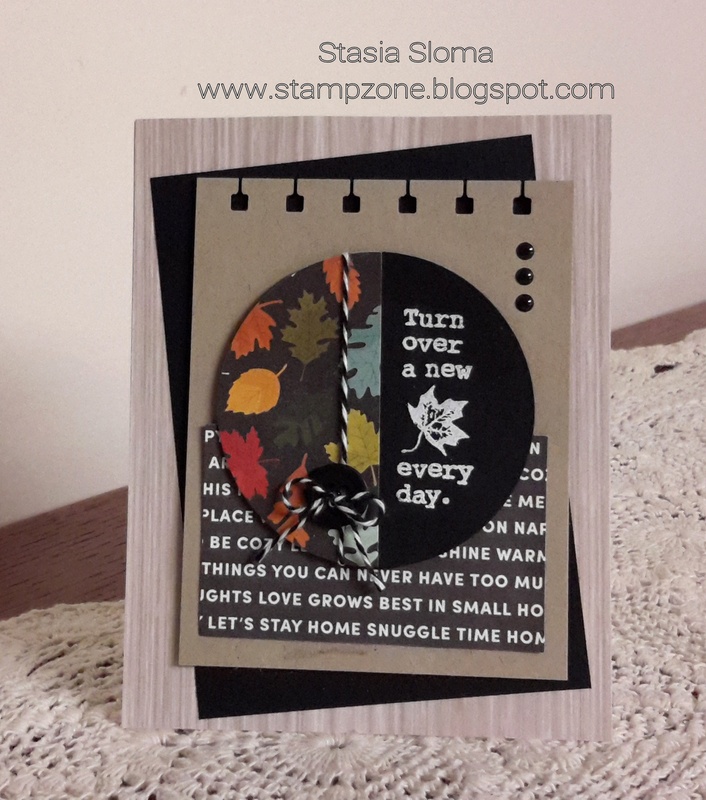 So simple, but great advice "Turn over a new leaf every day." Shouldn't we start each day as a new day and start fresh. I decided to put the sentiment in a half circle and putting designer paper on the second half of the circle. Love the end result. The sentiment was heat embossed. The designer series paper is from American Crafts Fall Day. The background paper was from American Crafts Felix. Spiral punch and embellishments finish the card.